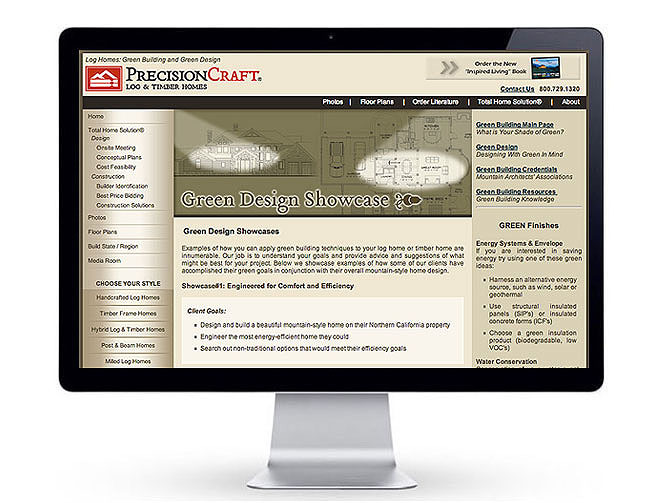 Scope: Home Building Products Showcase and Linkbuilding Campaign; Green Building Products across U.S.
Mission: Foster highly relevant, broad-based community link building for a leading green home builder while forming meaningful relationships with the leading OEMs in the green home building products industry. Key Insight: The Internet is a "community of communities." Award programs that embrace this principle harness the power of the network. 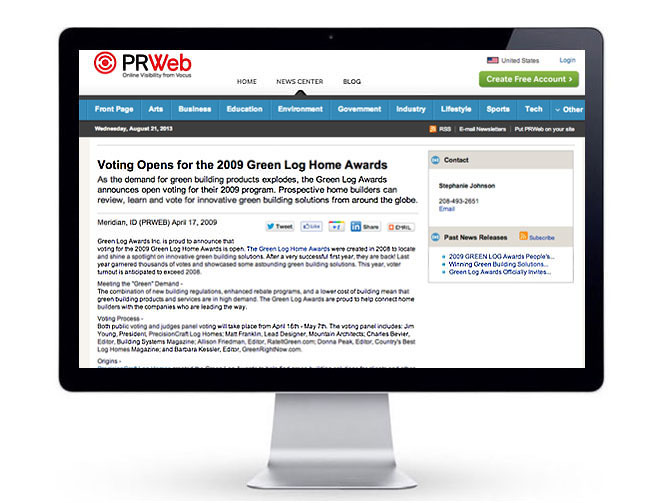 The Green Log Awards started with a distributed "polling widget," a Web-wide nominating process, and regular blog/RSS updates to tap into this burgeoning community and make plenty of new friends among the sponsor company's fellow "Netizens." 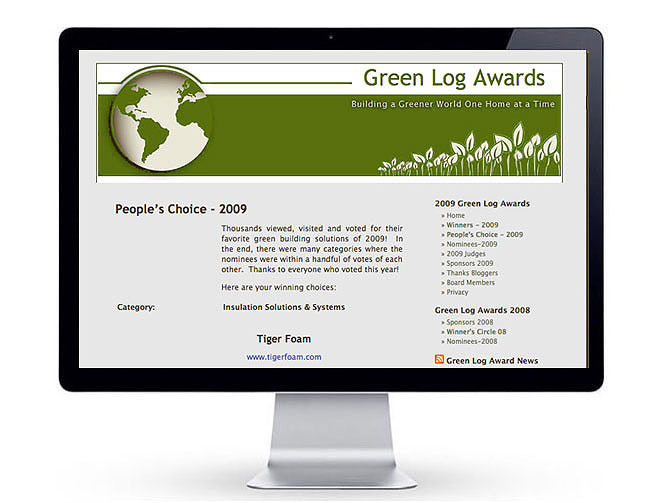 Perspectives: The Green Log Awards were recognized by the Green Media Toolshed in Washington, D.C. and granted special media access privileges for promoting environmental sustainability. Two years running, the program generated thousands of links per year, each authoritative because of its high relevancy to the contest subject matter.